OUYA, a $99 Android-based console, has been pledged over $5 million on its Kickstarter project page. The project has captured the imagination of gamers and tech fans who have pumped over $5 million into the project, and it still has 21 days to go. The funding smashed through OUYA's initial target of $950,000 before the end of its first day. The OUYA team makes many promises on the Kickstarter project page – the biggest being that it can deliver a game console for just $99. It claims that at the heart of the console will be a Nvidia Tegra 3 quad-core processor and 1GB of RAM, along with 8GB of internal storage. Connectivity options include WiFi, Bluetooth and USB 2.0. 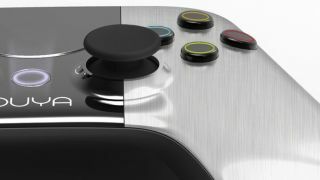 Based on Android 4.0, the OUYA is being touted as a developer's dream, and an antidote to the expensive closed systems of Microsoft, Sony and Nintendo. Each unit will come with an SDK for users to start making their own games, and all games will be free to try before you buy. The company is working with designer Yves Behar and his fuseproject team to design the console and its controllers which feature dual analogue sticks, a D-Pad, buttons and even a touchpad. The open nature of the means that its functionality isn't just limited to gaming, so we could also see it become a capable Smart TV add-on, for instance. According to the project page, the prototype is "up and running". It remains to be seen whether the team can really deliver on its $99 console promise. Even with $5 million in the bank it's unlikely to be easy.